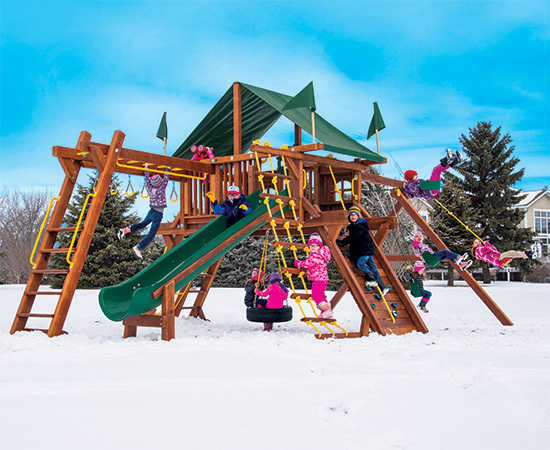 The Original Rainbow Castle Climber® is built to last a lifetime and keep your children safe, happy and active throughout their childhood. 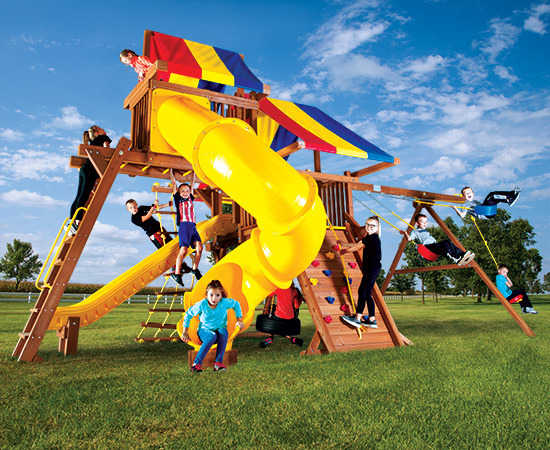 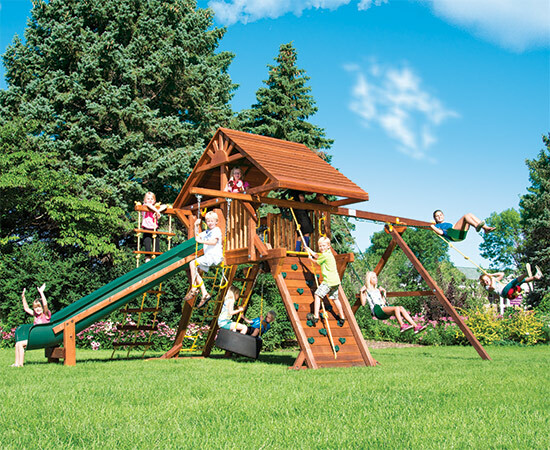 This is our Original swing set design; nothing compares to the Original Rainbow Castle Climber®. 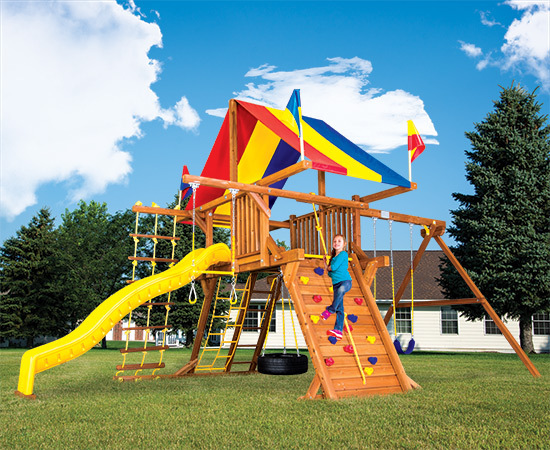 Built with 4” x 4” timber ladder legs, 4” x 4” a-frame legs, and our 10.5’ Scoop Slide the Rainbow Castle is slightly scaled back in size compared to the Monster Castle swing sets. 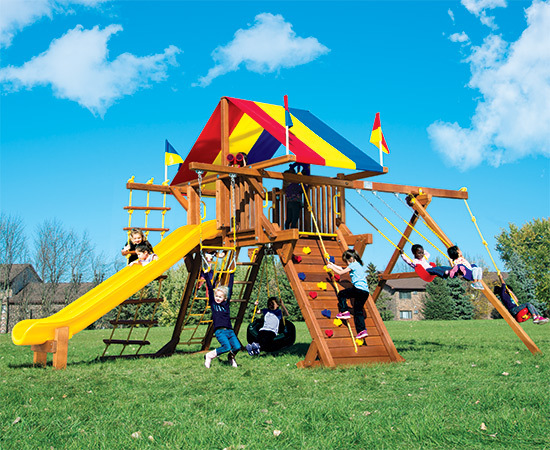 Rainbow Castles have all available options, add-ons and accessories and are fully modular and expandable.